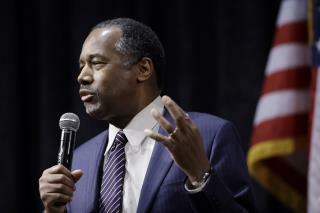 (Newser) – Ben Carson has strong words about the first black American president: "He's an 'African'-American. He was, you know, raised white," Carson tells Glenn Thrush in a Politico interview published Tuesday. "He didn't grow up like I grew up," says Carson, who was raised poor by a single mother in Detroit. "So, for [Obama] to, you know, claim that, you know, he identifies with the experience of black Americans, I think, is a bit of a stretch." Carson, meanwhile, has certainly experienced "real racism," he says—as opposed to what's considered racism today. "A lot of things that people classify as racism is classism," he notes. There's going to be hell to pay when the Republicans realize that Carson is black.